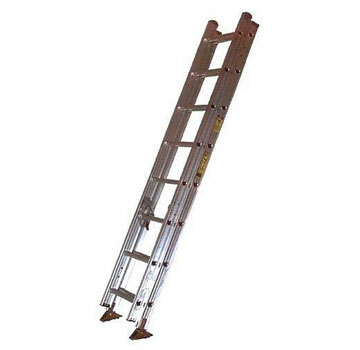 PRODUCT: 32 Foot Aluminum Extension Ladder, Type 1A Extra Heavy Duty Industrial, 300 lb. Capacity, OSHA/ANSI Compliant. Made in USA by Sunset Ladder. Price/Each.